Reviews of the Samyang 85mm f/1.4 ED AS UMC from around the web. 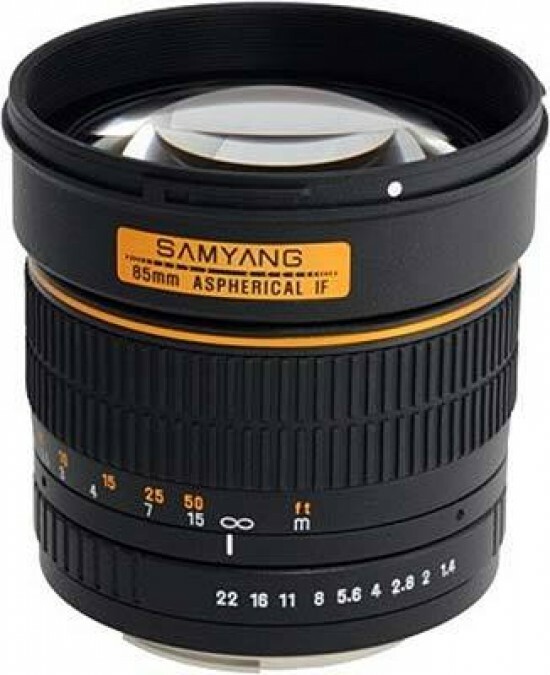 Most of you have probably never heard of "Samyang" - the manufacturer of the tested 85mm f/1.4 Aspherical. It's a Korean company which manufactures a variety of very affordable lenses for the lower end market. Their lenses are also marketed by some other brands such as Vivitar, Walimex, Opteka and probably a couple more. That alone may not be overly special but an ultra-large aperture 85mm f/1.4 lens sold for around 200-300EUR/US$ certainly is. Just for comparison - the Canon EF 85mm f/1.2 USM L II sells for more than 1800EUR/2000US$ and the nominally more comparable Zeiss ZE 85mm f/1.4 goes for 1200EUR/1300US$! Sounds insane, doesn't it ? This lens is available to fit many different types of cameras, including Canon, Nikon, Pentax, Sony and Four Thirds SLRs as well as Samsung NX mirrorless cameras. Nikon users have a choice between the basic model, which has no electronic coupling and the AE model, that has electronic contacts for transferring exposure information to the camera. In this review we will be testing the AE Nikon version. Up until recently the Korean firm Samyang has been known for its cheap manual long- focus lenses both made of lenses and containing mirrors. These lenses come with a T-mount thread which can be connected to any reflex camera by using the appropriate link. Samyang’s telephoto lenses have been offered at temptingly low prices thanks to the optical simplicity of their instruments, which are more reminiscent of refractors and Maksutov telescopes designed for astronomy enthusiasts than of proper photographic lenses.